Helping people learn how to homeschool using the best resources is what this site is all about. Whether you are thinking about homeschooling or have been doing it for a long time and need some new ideas, you will find encouragement and information here that you can really use. There are over 300 pages of information on this site written by me, a veteran mom. I hope you find all the information that you need. If you can't find something, just send me a message and I will do my best to help you. Teaching your children doesn't have to be hard or complicated. There are many resources that you can use. This site is a simplified version of what I have found that works for me. Hopefully it will save you many months of frustration with your children and give you the best resources. Whether you are a former teacher or someone completely unfamiliar with teaching, you can do it. No one knows your child better than you do. Once you determine their learning style and goals for what they should know, you are on your way to a great year! Whether you are teaching PreK, Kindergarten, elementary, high school or college, there are resources here for all types of students and parents. You'll get the help you need and find the answers to your most asked questions, get access to my favorite resources, and information on lots of books and curriculum. Whether you're looking for reviews, need help in knowing how to get started, looking for tips on avoiding burnout, or just need some ideas on how to homeschool more effectively and make this your best year yet, just sit back and browse around. The navigation bar on your left should take you to all the information you need. Use the search bar at the bottom right side of the page to search this site for specific questions or information. If you are just getting started and are feeling overwhelmed, check out these pages and relax! * 1. State Laws - Get all the information you need for your state. * 2. Learning Styles - Get the right books from the beginning. * 3. Favorite Resources and my FREE planner. * 1. 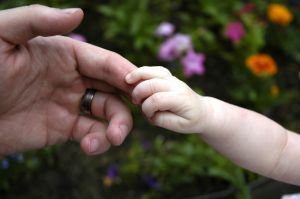 Preschool Ideas - Find out exactly what to do with your child during these years. * 5. 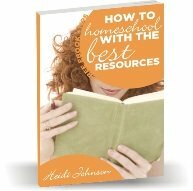 Free Resources at free homeschooling. I love using free resources and have used these tips for many years. Follow us on Facebook and Twitter to get up to the minute updates and new resources as they become available. Sign up below to get a free ebook and get email updates periodically. If you need to talk to someone one-on-one about your situation or your curriculum choices, you can get personal coaching here.